Whilst Cyclops were a major toy maker, they were relatively small in the Rocking Horse business. Cyclops were purchased by Triang. They made several different styles of plastic horses. 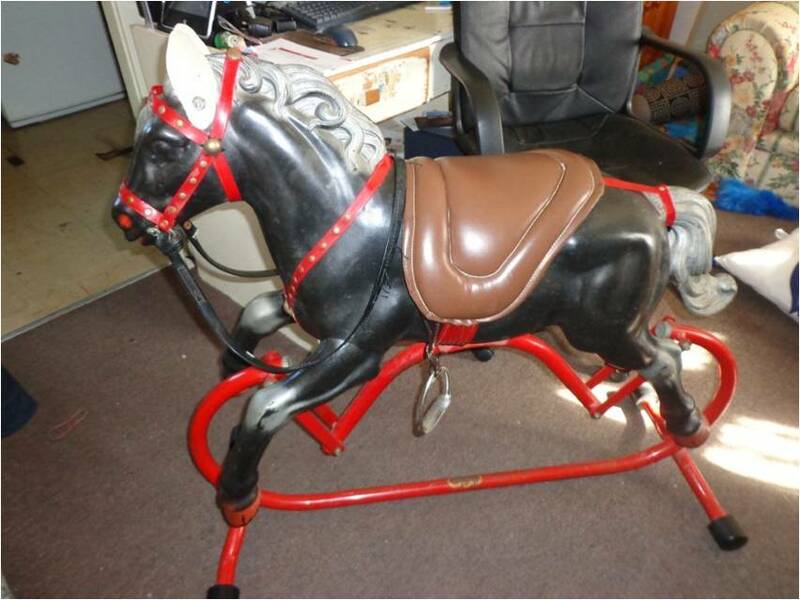 Their most popular was their Cowboy model with tubular steel frame. The red rubber saddle would perish and was not a replaceable item, therefore other saddles were usually adapted.